Following a sell-out run at the Park Theatre, Adam Penford’s new production of Mart Crowley’s ground-breaking play The Boys in the Band transfers to the West End. Opening at the Vaudeville Theatre for a limited run in February 2017, the critically acclaimed production is the first major revival in almost twenty years, premiering in 1968 before the Stonewall riots. 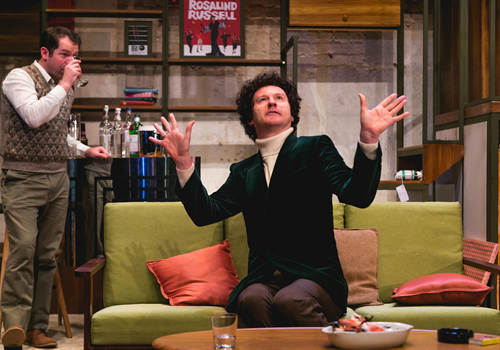 A witty, dark American play, The Boys in the Band changed the landscape of theatre. Set in a New York apartment, a birthday celebration is taking place for Harold, a self-confessed ‘pock-marked, Jew fairy’. It seems the gifts are flowing, as Harold receives a surprise in the form of a male hustler cowboy, and party host Michael gets his own unwanted present, in the form of a figure from his forgotten past. As the drink is knocked back and the dope evaporates into the air, the mood quickly drops from elation to heart break. Olivier Award-winning actor Mark Gatiss stars as Harold, alongside Ian Hallard as his husband, Michael, representing the first time in West End history that a male married couple appears on stage. Gatiss is best-known for his award-winning role in Three Days in the Country, as well as appearing in hit BBC show Sherlock, whilst Hallard is known for a stint in Doctors. Further cast members include Daniel Boys (Miss Atomic Bomb) as Donald, Jack Derges (EastEnders) as Cowboy, James Holmes (Miranda) as Emory, John Hopkins (Midsomer Murders) as Alan, Greg Lockett (Cinderella) as Bernard, Ben Mansfield (Primeval) as Larry and Nathan Nolan (Undercover) as Hank. 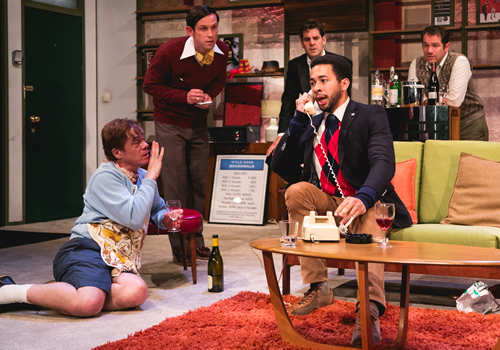 Directed by Adam Penford and produced by Tom O’Connell and James Seabright, The Boys in the Band features design by Rebecca Brower, sound design by James Nicholson and lighting design by Jack Weir. 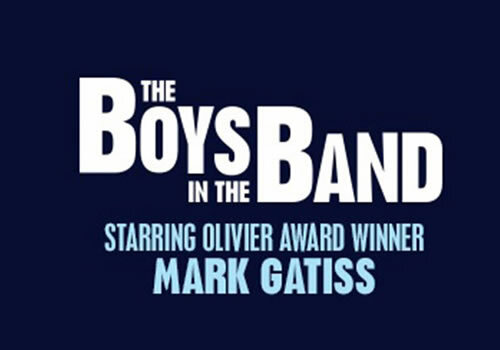 A startlingly entertaining production, packed full of razor-sharp wit and equally touching moments, The Boys in the Band transfers to London’s Vaudeville Theatre for a strictly limited two week season, from February 7th to February 18th 2017, with an official press night on February 8th 2017. The Boys in the Band is suitable for those aged 14 and up.